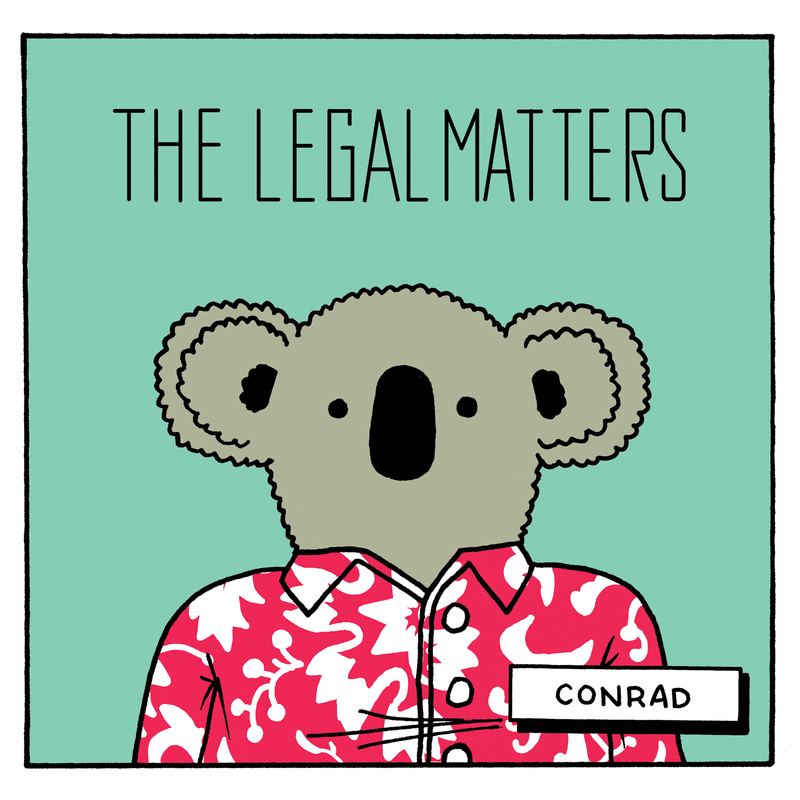 Released on October 28th, 2016, The Legal Matters follow-up their smashing debut with an album that lives up to expectations… and then some! Not only have they come up with yet another batch of great songs, the trio have upped the vocal harmony ante on CONRAD. The harmonies are so airy, light and beautiful that they sound like they are literally floating above the music. CONRAD’s opener, “Anything,” picks up where their debut left off and sets up the mood of the album perfectly. However, CONRAD is a slightly different beast. Sure, the same influences are there – the guitars jangle and shimmer, the melodies sneak up and wrap around your heart like a Christmas bow — but this time, like I stated before, they really stepped up to the plate with vocal arrangements. You know all those great harmonies you love on Beach Boys records? Well, Andy, Chris and Keith love them, too, so they invited them to the party and CONRAD is that much more beautiful for it. CONRAD is far from a carbon copy of their debut – it is more like an upgrade with bonus features. I’m purposely trying to avoid talking about any of the other songs on the album because I don’t want to give away any spoilers. Let’s just say that CONRAD will make you forget the election and all the tragedies of the world and you’ll be able to fall in love with life all over again. And you may even weep a little. Or a lot. ANDY REED: Hello, my name is Andy. I play bass, guitar, keys, and sing in The Legal Matters. 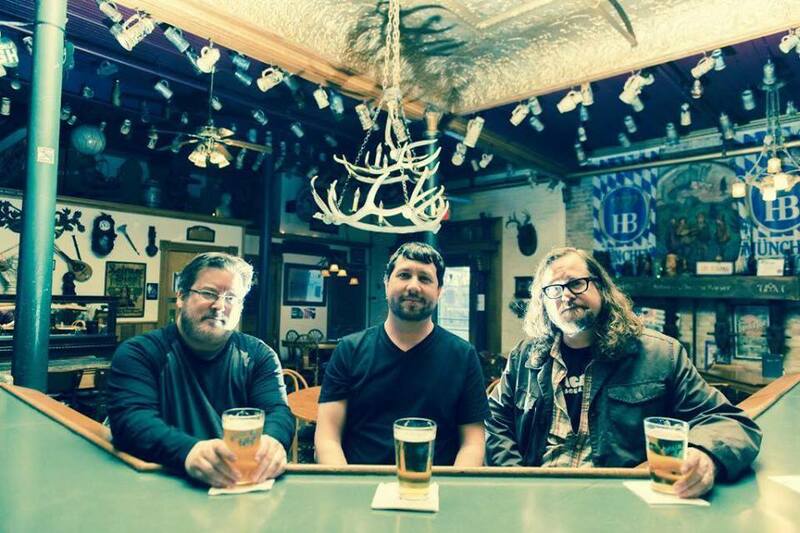 I run a recording studio in Bay City, MI called Reed Recording Co.
CHRIS RICHARDS: Hi, I’m Chris. I’m a Gemini and enjoy roller-skating when not occasionally playing guitar and singing in The Legal Matters. KEITH KLINGENSMITH: Keith here, I mainly concentrate on the harmonies in the band. I also run a pop label called Futureman Records. ANDY: CONRAD is our second record as a band. This album has a little more of a defined sound. We had a specific vision of making an album that felt like a journey. We really focused even more on the vocal elements to compliment the songs we were working on. It really came together nicely. We are also excited to have Omnivore Recordings putting the record out. CHRIS: Yes! CONRAD is our second record. We had a blast making this record. We took a different approach than the first (where we recorded all the principle tracks over the course of six days) to spreading the sessions over a few months – giving us a chance to write songs during that period…and I really think the results speak for themselves. KEITH: Great songs from all and harmonies everywhere! So excited to have Omnivore in our corner for this one – it’s gonna be fun. ANDY: That's really a tough one for me as I'm attached to all of them equally. I'm not bailing on the question. I really just don't know. Without any of them, this record doesn't feel the same. CHRIS: We set out to make a harmony based record, first and foremost. So I feel that “Pull My String” really validates our efforts. That song and its harmonies clearly show our intent. KEITH: I’d be good with any LM’s song representing what we’re about, but I think the first song on CONRAD, “Anything,” is the perfect representation of where we are now. A great song that’s a little further beyond what we would have done on the first record in almost every department. ANDY: It's definitely one complete idea. The artwork, the recording, and the songs are a piece of the puzzle. We hope that people treat it like an album and give it a listen as a whole. CHRIS: Unfortunately you cannot change the way an individual decides to take in their entertainment nowadays – I’m pleased in general when someone makes that choice to buy and enjoy our music. Now I’d be lying if I didn’t state that I wish people would listen to the record as we intended folks to listen to it. It doesn’t tell a story, but the songs progress in a way that really makes them shine. ANDY: I knew that the songs would be there. Since I was recording it I did have it in my head that I wanted this record to breathe and have space. That can be tough when adding a ton of elements, but I was determined to get it to feel that way. I think we achieved that. It was tricky. CHRIS: Pretty organically – we generally let the song take shape. I know it sounds strange, but really songs have a destiny in a sense. Our job was to attempt to capture those moments. KEITH: From my point of view, we haven’t recorded a song yet that fought us as it grew from demo to fully realized. Those songs just seem to grow naturally into Legal Matters tracks. ANDY: We are pretty much always on the same page. We all love a lot of the same music. We are also fans of each other so it's inspiring to work on each other's tunes. That always helps to keep things fresh. It also helps you step up your game too when you are in a band with great songwriters. CHRIS: There’s always give and take – but when you can work well with others in a collaborative environment, it’s not that difficult. Keith and Andy are pros, but friends first. KEITH: A lot of ideas get tossed around, but we’re so similar in sensibilities and general mindset, most of the suggestions are right in line with how we all see the track progressing. And that’s no matter who wrote the song, everyone is truly enthusiastic about the other two’s input. ANDY: I think I'm the one that would struggle with this the most but I wouldn't change a note. CHRIS: Andy’s right – this one really felt right on the first go round. I wouldn’t change a thing. ANDY: For me, it's actually a cross between George Martin and Brian Wilson. Those two are my heroes. I'm always paying close attention to the production side of things. The sound of the tambourine is just as important as the guitar to me. Every piece matters. Detail was very important on this one. Brian was the master at being an artist and producer at the same time as well. It can be tough when a band produces their own music. The focus can shift a lot. CHRIS: We all have a common core of artists that make us tick – the Beatles/Beach Boys/Big Star – so that blueprint will always be our backdrop. ANDY: My grandmother was living her last days as we were finishing the album. She was always in my thoughts. She was also the first one to show me how to play piano when I was a kid. Definitely a huge influence on me in every aspect of my life. CHRIS: The people that make us all strive to be better, as people or musicians, are always gonna be family and friends. I have an amazing supportive team around me 24/7. ANDY: It’s really tough to pick a specific point. We always knew we had the potential to do it. The first album was definitely a great way to start a recording career. We were also testing the waters. This time we brought our best so we kind of thought that the end result would be something special, at least to us anyways. KEITH: It takes me some time to stop hearing things as individual songs that grew in the studio and to be able to hear it as a real record. Once I got to the point where I could hear it as CONRAD though, I sure felt like we had a big winner. CHRIS: We want to get through these first couple months of live shows…and hopefully take it to the people in Cleveland-NY-Chicago-Boston. Then start album #3! KEITH: We’ve got our first full band live shows coming up to support this record; gonna be fun to hear these songs big and live. THEN Album number 3! ANDY: John Paul White, Tuns, The Lemon Twigs, Dawes, and a lot of 70s Beach Boys. CHRIS: Music is very plentiful right now – loving new records by Tuns, Nada Surf, Allah Las and the immaculate Rolling Stones mono LP box! 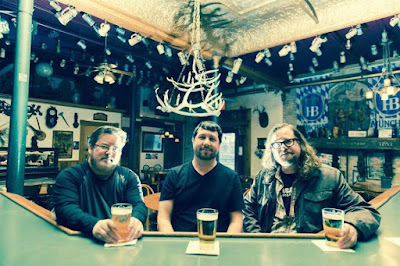 KEITH: New Teenage Fanclub, Bill Shaouy, Tuns, The Flat Five and Nick Piunti.